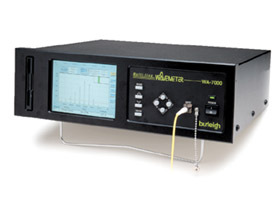 Burleigh WA-20 Wavemeter High Accuracy - Low Price! The SAPlus Laser Spectrum Analyzer employs a piezoelectrically scanned confocal mirror Fabry-Perot interferometer to provide the finesse necessary to achieve high-resolution measurements. For wavelengths greater than 1000 nm, the SAPlus is the only laser spectrum analyzer of its kind to guarantee a finesse of over 300. At shorter wavelengths, a finesse greater than 200 can be expected. 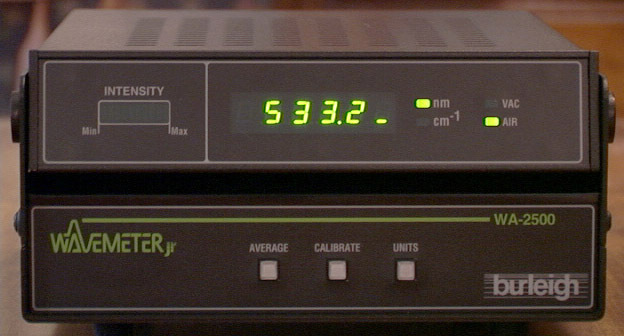 The free spectral range of the SAPlus system is configured for 8 GHz. The system can be reconfigured to a different free spectral range by simply changing the mirror set. Inchworms and Inchworm Controllers, CE-2000 etc. LIKE NEW! 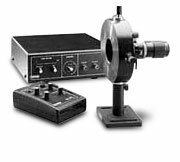 Fabry-Perot RC-140 or RC-110 with Ramp Generator piezo electronics configured with mirrors of choice or offered without mirrors. Includes kinematic base. DAS-10 Stabilization electronics available as option. 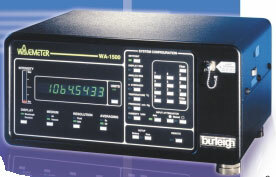 We specialize in the rebuilding of Burleigh's Fabry-Perot instruments having sold systems to US government labs and research facilities around the world. We offer repairs and custom fabrication of etalon mirrors using some of Burleigh's original vendors and suppliers. Please contact Bill Arkin at bill@lasershs.com with any questions or requests for quotes.